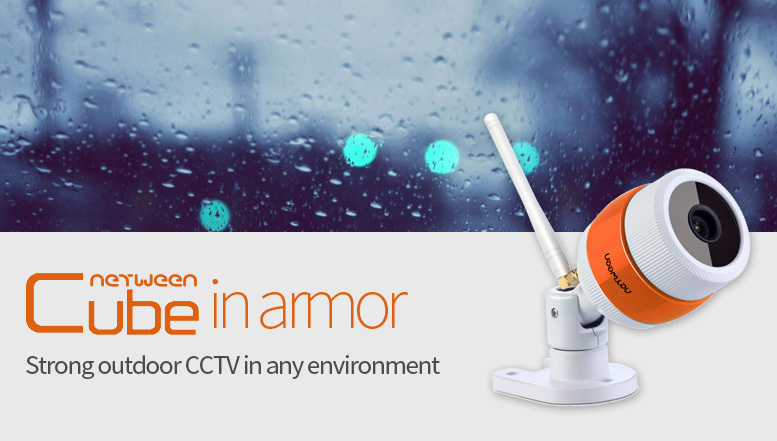 Outdoor CCTV should be strong against wind and rain, and ensure clear picture even in the dark. Wasn’t it hard working on wire construction from outside buildings to fences and other facilities? Netween Cube IRON can be installed by itself because it supports wired connection as well as wireless WiFi connection wition 50m. Outdoor CCTV should be durable enough to prevent damage from breakdown. You can configure Netween CCTV system. More affordable, high compatible, and indoors & outdoors Total Solution CCTV systems can be built. What is good about Netween Cube IRON? Just send your URL. 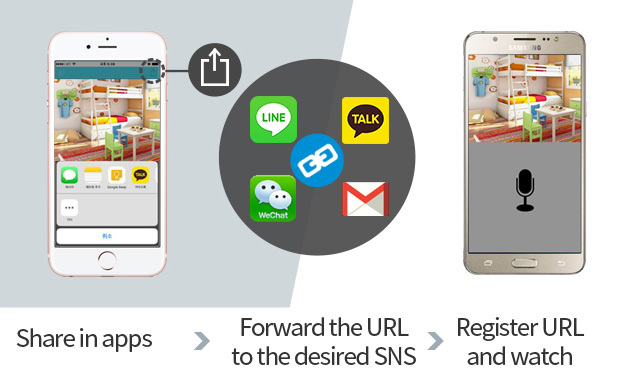 If you send URL through messenger app, text, mail, or any way you want, you can register Cube IRON through Cube IRON’s app and monitor right away without special serial number and password. If I register my camera with my parents, I think they will see my private life… Don’t worry. If you see the time with the Netween Cube IRON, you can open the desired time only. The Netween Iron is firmly guarded like a knight in ironclad. Ensure trouble-free operation due to rain and wind humidity change. No more wiring connectors that are complicated and damage the appearance. Netween Iron supports WiFi connections up to 50m, making it easy to install without complicated wiring. Indoor program, outdoor program If you were uncomfortable with different systems, check out Netween. For being fully compatible with all Netween products, integrated management and motion alarms are available through a dedicated application.